The Hip & Lumbar Advance 3+5 range, boasts over 60% more springs than the conventional mattresses. 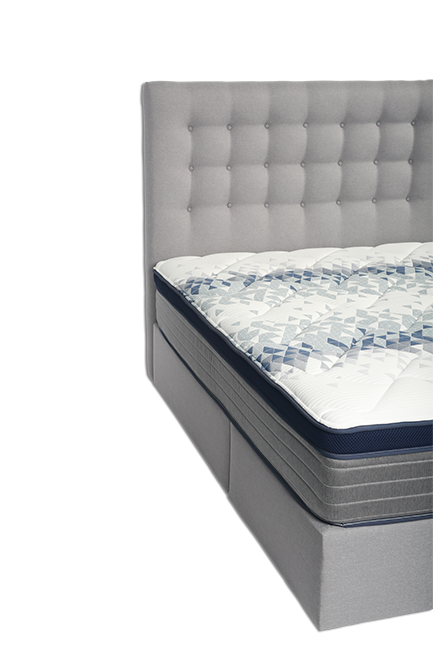 This way, the mattress can provide more support for the spine and offer a larger sleeping surface and a extraordinarily peaceful night’s sleep and helps your muscles to relax. The Hip & Lumber Advance 3+5 mattresses provides a 28% cooler environment compared to foam mattresses and regulates temperature with Gel infused materials, offering freshness and also peace of mind with the additional benefits of Bamboo. ViscoCare® Gel Infused Memory Foam for active support, breathability, balanced temperatue and maximum comfort.